About 35 percent of the patients at this clinic in York, Pa., receive Medicaid. The clinic offers STD testing, cancer screening and contraception services as well as abortion services. Dawn States, 26, says she wouldn't be able to safely carry a pregnancy because of spinal problems that required two surgeries. She has turned to Planned Parenthood for years to obtain contraceptives and gynecological care. Opponents of abortion rights have long argued that public funds for services like cancer screenings and contraception should go solely to health clinics that don't provide abortions. They've made "defunding Planned Parenthood" — or, to be more precise — blocking the organization from receiving funding through federal programs like Medicaid — a major goal. Now, Republicans in Congress have proposed an Affordable Care Act repeal that would, for one year, prevent Planned Parenthood from receiving Medicaid reimbursements for providing services like contraception and cancer screenings to low-income patients. Worry about just that kind of action under a Trump administration and Republican-controlled Congress is what brought Dawn States of Lancaster City, Pa., back into her local Planned Parenthood recently. "I wasn't sure what was going to happen in the next foreseeable future — and I actually physically can't have kids," States says, after having two spinal surgeries as a teenager. She's now 26 and has come to the Planned Parenthood clinic in York, Pa., to get a long-acting intrauterine device, or IUD. "My spine is fused, and I have two rods. So it's just not really set up for carrying around an infant," she says. States says she worries what will happen to women like her who receive Medicaid and depend on Planned Parenthood for this kind of care. The organization has been a focus of anti-abortion activism because it provides about a third of the nation's abortions, according to data gathered by the Guttmacher Institute — though, under current law, the clinics can't and don't use federal money to pay for the procedure, in most cases. For other services, like screening for sexually transmitted diseases, Planned Parenthood gets more than $500 million in public funds — much of it from Medicaid — according to the organization's most recent annual report. "Whether this funding goes directly for abortion or indirectly allows them to have access to a large population of potential abortion clients, and to keep the lights on and man their call centers and do all their political activity, they should not be receiving taxpayer dollars," says Eric Scheidler, executive director of the Pro-Life Action League, one of the groups pushing to cut off federal funding to Planned Parenthood. Instead, Scheidler says, those patients should go to community health centers that specialize in treating low-income patients. Other anti-abortion-rights groups, like Students for Life, also have been promoting the idea of redirecting those funds to federally qualified health centers, known as FQHCs — which perform a range of primary care services, often with a large share of Medicaid dollars. The locations, hours and availability of services at these public health clinics vary from place to place. For patients in York, there's a center less than a mile from Planned Parenthood — but it's busy. "There are more patients who seek our care than we're able to provide care for," says Jenny Englerth, CEO of Family First Health, which offers primary medical care and dental care at several clinics in the area. More than half of the patients at these clinics receive Medicaid. Englerth says her patient loads keep growing, and the organization frequently has to turn away patients — sometimes daily, depending on the time of year. "Sometimes in the height of the cold and flu season there just isn't enough capacity to go around," she says. What's more, doctors here can decline to provide birth control if it violates their religious beliefs. Englerth says she tries to hire a good mix of providers so that patients are able to get the care they need. But some, like Dr. Luis Garcia, choose not to offer birth control options like implants and IUDs. Garcia says he does screenings for sexually transmitted diseases and talks with patients about a technique called fertility awareness that can reduce unwanted pregnancies. "But if a patient comes in and they want to get a Nexplanon or IUD or other birth control, then they can go to another provider," Garcia says. Heavy patient loads are common at these clinics, says Sara Rosenbaum, a health policy professor at George Washington University. 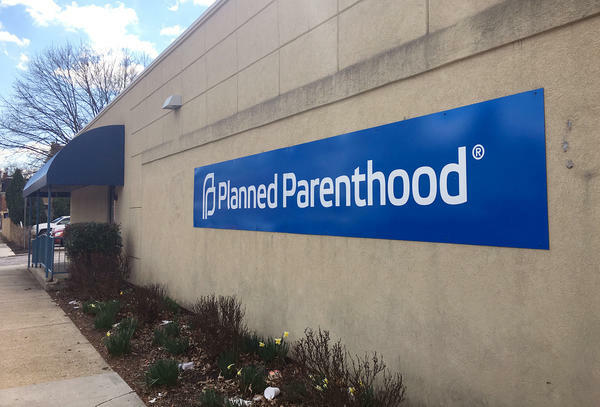 Rosenbaum says these community health centers provide important services but aren't as equipped to provide the reproductive services that Planned Parenthood is known for. "There are all kinds of reasons why it's not just a simple substitution of X for Y," she says. Rosenbaum points to Texas, where state lawmakers in 2011 reduced Planned Parenthood's funding. Dozens of family planning clinics closed and the birthrate for low-income women went up. Some patients, Rosenbaum says, are unwilling to use a clinic that, by design, serves the whole family. "There may be people who were younger users who were uncomfortable where they might run into their aunt sitting in the waiting room," Rosenbaum says. Sally Gambill, a certified nurse midwife at the Planned Parenthood in York, says she has seen too many patients over the years who became pregnant because they weren't able to obtain birth control efficiently. "The sperm and egg really, really want to meet; they just do. That's why we're all here," Gambill says. "And if we don't help people, if they want to be on contraception [and] we don't help people when they want to be helped — that day, that hour — then sperm and egg find each other." If Planned Parenthood were no longer an option for some patients, Englerth says, her network of health clinics would try to meet the need. "But I also understand the reality of what we try to do every day and the pressures that we feel every day with our existing demand," she adds, "so there are going to be gaps and shortfalls. And I can only project the stories of those individual women that will fall in between." If there are major changes to federal funding for low-income patients' reproductive health services, Englerth says, she hopes they don't happen too quickly, so centers like hers have time to try to close those gaps. There's a provision in the Republican proposal to repeal and replace the Affordable Care Act that blocks Planned Parenthood from receiving Medicaid dollars for at least a year. Opponents of abortion rights say public funds for services like cancer screenings and contraception should instead go to health clinics that don't do abortions. NPR's Sarah McCammon looks at what that would mean for public health centers and patients. SARAH MCCAMMON, BYLINE: There are lots of reasons why women want to avoid getting pregnant. For Dawn States, two spinal surgeries as a teenager make pregnancy a bad idea. DAWN STATES: My spine is fused, and I have two rods. And so it's just not really a setup for carrying around an infant. 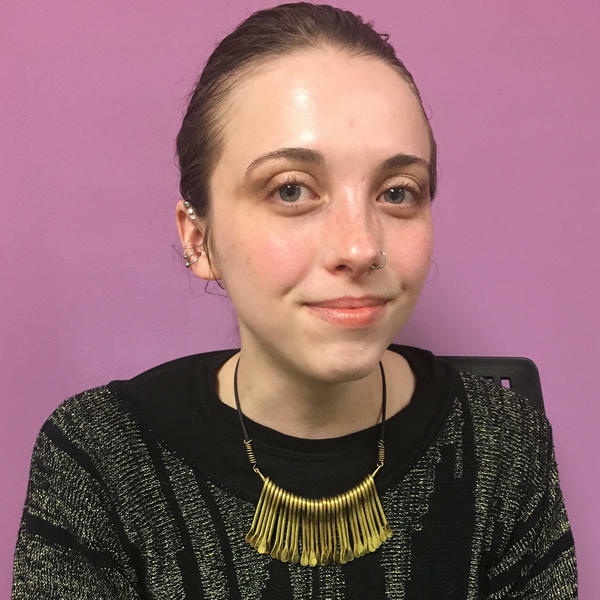 MCCAMMON: Now 26 and living in Lancaster, Pa., States recently came to a Planned Parenthood clinic in York, about 25 miles away, to get a long-acting IUD. STATES: Because I wasn't sure what was going to happen in the next foreseeable future. And I actually physically can't have kids. So it was - it's very important for me to never ever have that. MCCAMMON: She worries about what will happen to women like her, who receive Medicaid and depend on Planned Parenthood for this kind of care. Planned Parenthood does provide about a third of the nation's abortions but can't use federal money for the procedure. For other services, like screening for sexually transmitted diseases, the organization gets more than $500 million a year in public funds, much of it from Medicaid. Eric Scheidler is with the Pro-Life Action League. ERIC SCHEIDLER: Whether this funding goes directly for abortion or indirectly allows them to have access to a large population of potential abortion clients and to keep the lights on and man their call centers and do all their political activity, they should not be receiving taxpayer dollars. MCCAMMON: Instead, he says, those patients should go to community health centers that specialize in treating low-income patients. UNIDENTIFIED WOMAN: I'm OK. How about you? MCCAMMON: In York, Pa., there is a federally qualified health center less than a mile from Planned Parenthood. Jenny Englerth is CEO of Family First Health, which offers primary medical and dental care at this clinic and several others in the area. JENNY ENGLERTH: There are more patients who seek our care than we're able to provide care for. MCCAMMON: More than half of the patients receive Medicaid, and the doctors stay busy. ENGLERTH: Sometimes, in the height of the cold and flu season, there just isn't enough capacity to go around. MCCAMMON: What's more, Englerth says, doctors here can decline to provide birth control if it violates their religious beliefs and instead refer patients to a colleague. Heavy patient loads are common at public health clinics, says Sara Rosenbaum, a health policy professor at George Washington University. And some patients may not go to a clinic that, by design, serves the whole family. SARA ROSENBAUM: There may be people who were younger users of family planning clinics who were uncomfortable about going to a health center where they might run into their aunt sitting in the waiting room. MCCAMMON: Rosenbaum points to Texas, where state lawmakers in 2011 reduced Planned Parenthood's funding. Dozens of family planning clinics closed and the birth rate for low-income women went up. Sally Gambill, a certified nurse midwife at the Planned Parenthood in York says reduced access to contraception would mean more unwanted pregnancies. SALLY GAMBILL: The sperm and egg really, really want to meet. They just do. That's why we're all here. MCCAMMON: If Planned Parenthood were no longer an option for some patients, Jenny Englerth says her health clinics would try to serve them. ENGLERTH: But I also understand the reality of what we try to do every day and the pressures that we feel every day with our existing demand. So there are going to be gaps and shortfalls. MCCAMMON: Englerth says, if there are big changes to the funding for low-income women's health services, she hopes they don't happen too quickly so centers like hers have time to try to close those gaps. Sarah McCammon, NPR News, York, Pa. Transcript provided by NPR, Copyright NPR.